At a recent Spirit Quest meeting, we discussed the nine insights presented to us in The Celestine Prophecy. This best-selling book by James Redfield tells us that we will soon experience a global spiritual awakening. The nine insights explain how this awakening will happen. For example, in The Celestine Prophecy, the protagonist begins to consistently meet the right people at the right time. He soon realizes that these are not just accidental encounters. Rather, they are meaningful events. Every synchronicity that occurs in life contains a message for you. So, you need recognize the synchronicities when they occur. Once you begin to notice that frequent synchronicities are occurring in your life, then the remaining insights will soon be revealed to you, one after another. Synchronicities will launch you on a path of spiritual awakening. Religion and science have been around for a long time. But now they are being replaced by spirituality. At the same time, humanity’s preoccupation with material and economic concerns is being replaced by a desire to discover life's real purpose. This second insight puts the other eight insights in larger historical context. 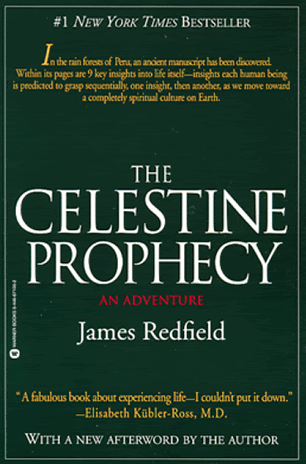 It says the celestine prophecies are not just plausible, they are inevitable. Everything is made of energy. We are energy. The universe is energy. This energy surrounds us and penetrates us. Our physical survival depends on a continued flow of this energy into us. Until now, this energy has been invisible to us. The third insight says we will be able to see it. Our ability to see it starts with an increased awareness of beauty, especially in nature. Not only will we be able to see the energy, but we will come to understand how it responds to our thoughts. This energy is actually malleable to our intentions and expectations. The fourth insight reveals that we humans have always competed with each other for energy. In fact, this competition for energy underlies most human interactions: we seek to draw the energy we need from other people. We try to dominate, control, or manipulate them to get the energy we need. Most of the time, we do this unconsciously. We always thought the only way to get the energy we need is by taking it from others. This competition for energy explains why we come away from every interaction with other people feeling strong or feeling weak. It is the cause of drama in relationships and -- indeed -- the cause of conflict in the world. When we are able to observe the energy surrounding us, we will finally see how we gain or lose energy in every interaction. This insight tells us that we will learn how to tap into the unlimited supply of universal energy. We can absorb all of the energy that we need directly from the universe. We will no longer need to take it from other people. You can tap into universal energy by appreciating things around you, like a flower, for instance. When you do this, you receive energy from the flower and you can return energy to it. You feel euphoric when you connect to universal energy. You feel connected to everyone and everything. However, negative emotions, especially fear, can cut off the flow of universal energy into you. The sixth insight helps us begin to discover our life purpose -- the reason we came to Earth. But, to fully discover our life purpose, we need to let go of our old patterns of behavior. We have to stop taking energy from others. We have to become aware of our "control dramas" that we learned when young and have used throughout life to get energy flowing in our direction. The sixth insight shows how you’ve actually been working on your life purpose all along, without knowing it but bringing you to where you are right now. Every event in your life, every experience, every relationship has been leading you to where you are right now. You are here because this is where you need to be to continue your spiritual evolution. Do you sometimes find yourself just knowing things and wondering where those thoughts or ideas came from? This is called intuition, and it’s what the seventh insight is all about. The seventh insight tells us we will get the answers we need through intuition. But, in order to get the answers, you first need to know the questions. When you know the questions to ask, you will get the answers you need. You will get the guidance you need. You will know how to proceed. Most of the time, the answers come to us through other people. The eighth insight gives us a new way of relating to other people -- a way in which we will seek to uplift others. To begin with, the eighth insight reminds us that everyone who crosses our path has a message for us. If we just listen, we will receive the message. How we respond to other people will determine whether or not we receive the message they have for us. That’s why we sometimes run into the same people over and over unexpectedly -- we haven’t yet received the message they have for us. In order to better receive the message, the eighth insight says we should try to uplift everyone who crosses our path. We uplift others by giving them energy. The ninth insight explains where we humans are going in our collective spiritual evolution. It also describes how human society will change as a result of this spiritual evolution. This insight says that, as our level of spiritual vibration continues to rise, we will become invisible to those of a lower vibration. We will dwell in spiritual bodies rather than physical bodies. We will become beings of light. The population explosion will end voluntarily. Technology will do most of our work for us. Production will be fully automated and all products will be readily available to everyone. Harmony will prevail and conflict will end because of our new way of interrelating with each other. We will no longer be materialistic. Instead, we will pursue our life purpose. We will appreciate the natural beauty of the world and not continue to destroy it through greed and pollution. This is how we will achieve Heaven on earth. The Celestine Prophecy is available at the Quest store. Thanks Roy! This is invaluable. I really enjoyed this blog! Thank you for writing it. The amount and frequency of synchronicities I've been experiencing is amazing! I know it is continued part of the greater collective spiritual awakening. Very exciting times we are living in! Roy! Thank you for shaking my mind and spirit! 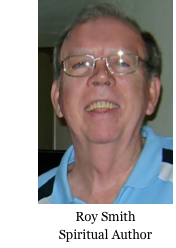 Thank you for the amazing blog, I really enjoyed it. Too bad I have been missing the meetings, but this was helpful and so true. God bless and hope to see you soon. Thank you! This is a great and valuable reference. I've been living this way, finding these insights unfolding before my very eyes. My Spiritual Awakeninghas been mind blowing. Then I came across this book. It is only confimation that it is so very real. I hope you all the best and most peaceful transition from the old Earth to our new Earth. Spreading this information like wildfire will only help you in the best ways and will help humanity as a whole.